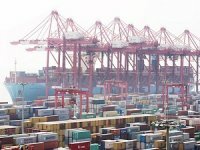 More than 90 percent of world trade is conducted through sea shipping, making shipbuilding one of the fastest growing industries in the recent boom in global trade, which has grown on average by more than 5 percent annually. 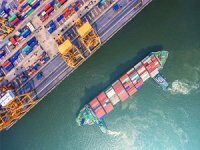 As a natural consequence of Turkey being a peninsula located at a strategically central position close to many wealthy European markets, Turkey’s growth in shipping construction has outdone all of its global rivals in the last four years, growing 360 percent. The Black Sea region, however, has been the main beneficiary from this unprecedented upswing. 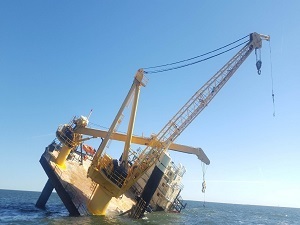 Maritime Undersecretary Hasan Naibo?lu said workshops to manufacture small vessels and fishing boats in the Black Sea district of Ere?li are being modernized to create at least half of the capacity of the shipyards in Tuzla, ?stanbul. Boat yards are opening one after another in the Black Sea region, he noted. “There is all the necessary equipment there. It is like the Turkish saying, we have all the ingredients to cook halva,” he said. 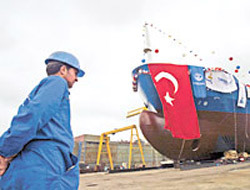 Naibo?lu, in an interview with Turkish Maritime Magazine, said a big shipyard has recently started production in Ünye, a large, bustling Black Sea township of Ordu, and has been receiving many orders. 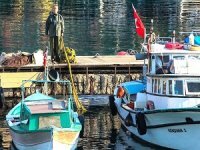 Similarly a boat yard has been opened in Samsun, and two in Kastamonu. The trend to invest more in ship building is the fruit of regional incentives provided to investors, said Naibo?lu. But the same trend cannot be seen in the Mediterranean region due to various obstacles put before investors. The biggest handicap is the difficulty in allocating land for shipyard construction due to regulations that protect natural areas, and privileges for tourist areas, among many factors. 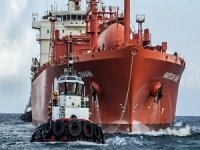 Evaluating the recent developments in the ship building industry, Naibo?lu says Turkey is a preferred country for ship building, especially for yachts and large tankers used for the transportation of chemical materials. “That means most of the orders are coming from foreigners, and the ship builders here have already started contemplating ways to expand their businesses,” he said. Some entrepreneurs who want to remain close to Tuzla, the heart of Turkey’s ship construction industry, cannot find suitable places to establish a shipyard, so they establish them in the Gebze Organized Industrial Zone, located close to Tuzla, but not on the sea, to produce the main parts of a ship separately. After building the parts in different places, the builders combine them on land in areas close to shipyards. Naibo?lu points out that while this is not the most efficient way to build a ship, manufacturers want to stay close to the center of the industry where they are more likely to meet customers. Naibo?lu also answered the critics that say shipyards are mushrooming uncontrollably, explaining that all of them have come to life out of mere necessity and in an environment of pure competition. He also pointed out that a single shipyard worker contributes to 15 different branches of business, directly or indirectly. 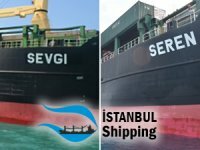 According to figures provided by the undersecretary, Turkey is the world’s eighth-biggest ship manufacturer, with 1.8 million deadweight tons (DWT) worth of orders last year. It was 23rd in 2002. Turkish shipyards completed 135,000 DWT of orders in 2002, rising to 600,000 in 2006. The sector has invested $500 million in the last three years to expand facilities and improve them technologically. The number of shipyards active in the country was 37 just five years ago. Thanks to efforts to meet an ever-increasing demand, the number has jumped to 59. 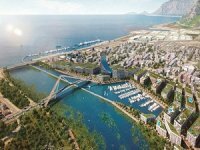 Meanwhile projects, investment and feasibility studies for 61 new shipyards are currently ongoing. Once these new production facilities are completed, the country will have 120 shipyards with a capacity of constructing 9.2 million DWT of vessels per year. Additionally the biggest ship that a Tuzla shipyard was able to construct was a 20,000-DWT vessel, but now it is possible to build vessels six times as large, and new investments are underway to enable the building of 180,000 DWT ships.